Newton Aycliffe 1st XI v Darlington 2nd XI – weather was warm and sunny once the heavy rain showers had passed. Aycliffe won the toss and chose to bowl first. 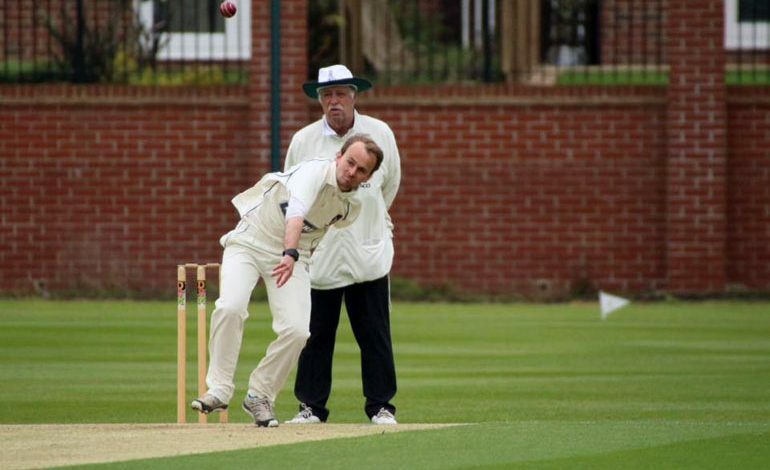 Aycliffe’s first team were well beaten at home to promotion hopefuls Darlington 2nd XI by 90 runs. Jack Slatcher (pictured above, sponsored by Mr & Mrs Greaves) was given the man of the match award for an excellent spell of bowling, finishing with the superb figures of 10 overs, 4 maidens, 3 wickets for just 14 runs. Captain Adam Gittins also deserves credit for a fighting unbeaten 31 off 61 balls in a gallant effort to save the game for Aycliffe. The 2nd team had a fixture free week.